Why Take Care of Your Baby’s Teeth? ⎫	The child has a habit of sleeping with a bottle or sippy with milk or juice in it. Sipper cup, unless it has only water in it. 4) Adding extra water to fruit juice is better for your child’s teeth. Make it habit to rinse the mouth with water after every meal. •	Begin cleaning the baby’s mouth during the first few days after birth. •	After every feeding, wipe the baby’s mouth, tongue, cheeks and gums with a damp soft cloth or a gauze pad. 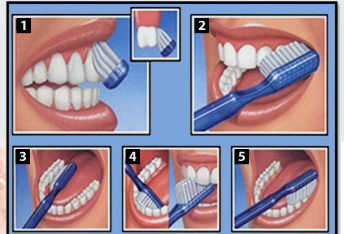 •	A child needs an adult’s help in brushing their teeth until they are about 8yrs old. •	Flossing should also be done regularly after all the permanent teeth have erupted (2-2 1/2 yrs).